Welcome to the Data Intensive Discovery Initiative Homepage. The Data Intensive Discovery Initiative (DI2) is a unique inter-disciplinary research consortium involving partners from Academia, Industry, Non-Profit and Government sectors. The DI2 is located at the State University of New York at Buffalo. 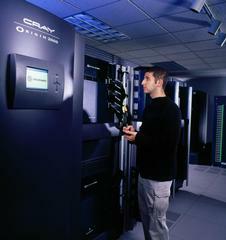 The research focus of DI2 is Data Intensive Computing Science and its applications. DI2 has expertise in pharmaceutical, biomedical and engineering applications of data intensive computing. DI2 conducts collaborative, multi-disciplinary research to develop new strategies for knowledge discovery, data management and new algorithms for solving computationally expensive problems. DI2 is all about innovative solutions and discovery through partnership and data intensive computing science research.